We have reached an important milestone in our project. After six years, we have reduced our site work to a single building pad at the south end of the Park neighborhood, having reshaped eight acres of what is now Grow Community. We continue to see more solar go up, garden beds filled, and have enjoyed seeing new neighbors join our community and make long-lasting friendships. Now that the Lilac and Sage are done, and the Community Center is nearing completion, we plan to pause construction for the winter. This will include additional landscaping, ramps/walks to connect our path through the entire project, and stabilization of the area that will become the Trillium and Meadow Homes. This winter “quiet time” will allow new residents to move in, let the site be still for several months – and we’ll be ready and rested to begin final completion of work in spring 2018. As we wind down work for the year, our teams are checking off minor “punch list” items throughout the Park neighborhood. All tasks in occupied and for-sale units should be completed in the next couple of weeks. Site grading is essentially complete, with stairs and ramps now shaped in the southeast corner of the grounds and concrete work set for next week. Landscaping in that area will follow – we are on schedule to beat the rain and tidy up the site for winter. 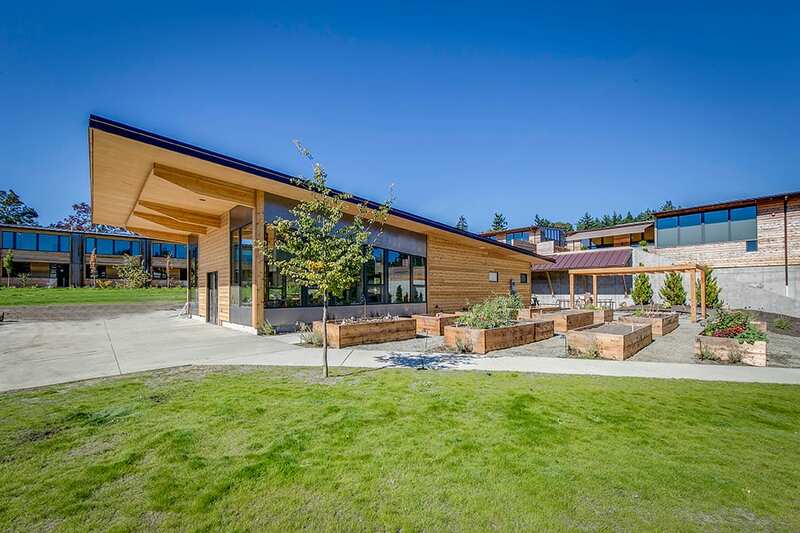 The big news is the imminent opening of our new Community Center – and does it look great! The 17-panel solar array went up on the center’s bike shelter this week, great news for sustainable use. We have a few minor items left to install, from drinking fountains to appliances, barn doors and some trim. We’ve applied to the city for building occupancy, and hope to have approval in the next few weeks. Then we hope to see you all at the center for our annual Harvest Fest, Oct. 21! And we still have room for you! 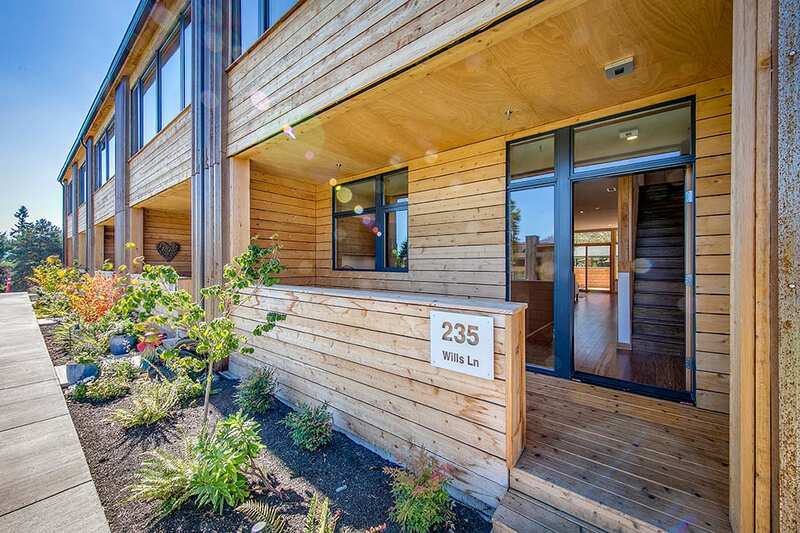 Grow Community still has great opportunities for buyers, starting with the Tsuga building – three units are still available, all 2-bedroom homes. In the Lilac townhomes, 2- and 3-bedroom homes each with a generous 300-sf of private outdoor space are available. These are the only 3-bedroom units left at Grow and offer 1,600-sf of comfortable, environmentally friendly living. Finally, we have view units available on the third floor of the Sage. Enjoy peek-a-boo views of Eagle Harbor and the Olympics. These 2-bedroom homes include large masters and generous closet space. Contact our sales team a get a personal tour today! 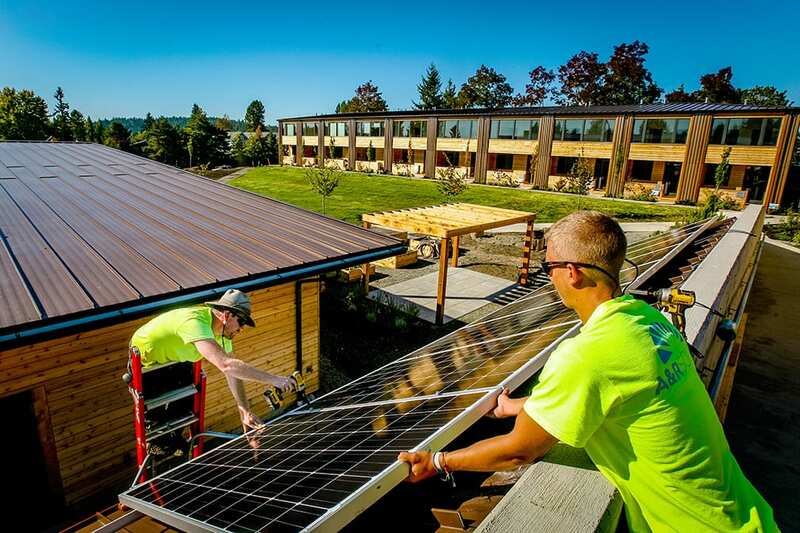 New solar array powers community center How far we have grown.